Haven Cottage015394 33270work01539 234300fax Guest AccommodationA 2-minute walk from the centre of Ambleside in the heart of the Lake District, Haven Cottage provides high quality B&B accommodation with a reputation for some the highest levels of customer service in the Lakes. 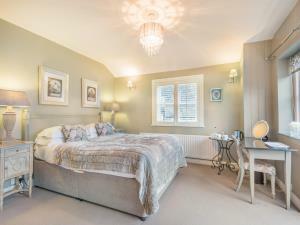 Built from traditional Lakeland stone Haven Cottage still retains its traditional charm but has been extensively modernised to combine traditional features such as log-burners with contemporary and beautifully decorated en-suite bedrooms. Accommodation includes both Double bedrooms and also large spacious Luxury Suites. All rooms benefit from free Unlimited wi-fi, Tea & Coffee making facilities and TV / DVD. To the rear of the cottage is a south-facing patio area with stunning views of Loughrigg. All guests also get free car parking in the private car park in front of the B&B. Haven Cottage has a deserved reputation for high quality breakfasts. Using local ingredients such as locally cured bacon and Cumberland sausages, as well as Free range eggs from Windermere, guests can choose from a traditional home-cooked Cumbrian breakfast or a home-made Vegetarian alternative. Coffee is from Red Bank Roasters in Grasmere and Tea from Farrer's of Kendal. Fresh fruit, Yoghurts and Cereals are also available and all bread is home-baked on the premises. There are a variety of daily specials made available throughout the week and Haven Cottage has deservedly won a Visit England 'Breakfast Award' for the quality of the food it serves. Haven Cottage sometimes limits bookings to 3 or more days. Double bed and en suite bathroom with shower. All our Double rooms are described as 'compact and cosy'; they are fairly small but have everything you will need for a comfortable stay and all guests can also use the guest lounge on the ground floor. Single occupancy room rate reduction of £15.00. 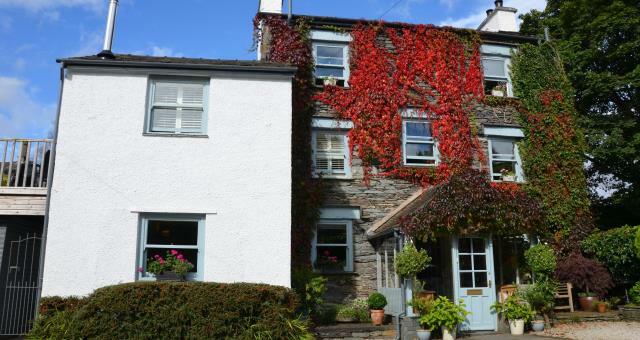 A 2-minute walk from the centre of Ambleside in the heart of the Lake District, Haven Cottage provides high quality B&B accommodation with a reputation for some the highest levels of customer service in the Lakes. The Owners spend time each Breakfast to provide guests with an up-to-date weather forecast and offer free advice and route planning to help make the most of the spectacular Lake District area. A number of scenic walking routes start from Haven Cottage, and cycle storage is provided if guests wish to bring their bicycle. The market town of Keswick is a 20-minute drive away. Leave Ambleside going North on the A591 to Keswick. You will see a Pay and Display car park on your left followed by a fire and police station. We are approximately 100yds further along on the left hand side opposite the the doctors surgery.